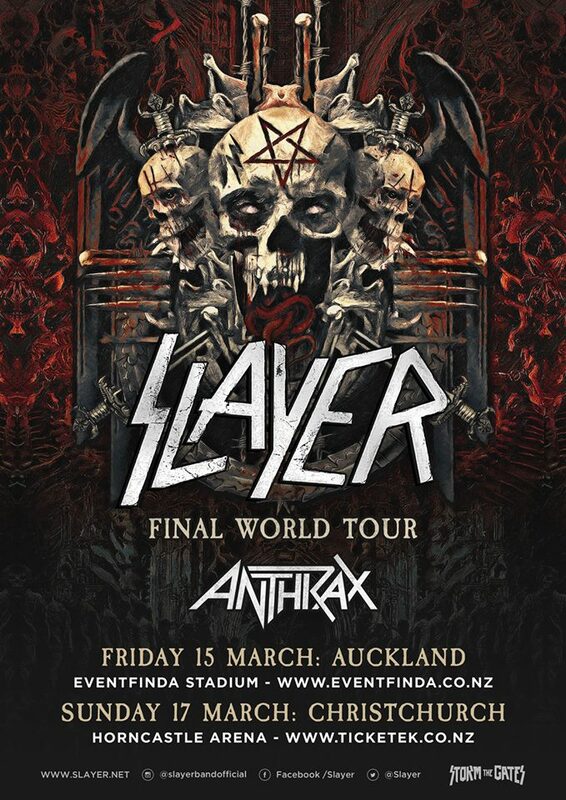 Do not miss your last chance to see two of the greats live in New Zealand for the last time ever. We usually use this space to talk about the artist's achievements but the real fans already know what Slayer and Anthrax have done so we won't bother. F***in SLAYER!!! !